Launched 14 years ago and achieving $62m in EBITA in 2012, online survey company SurveyMonkey is somewhat of a veteran of the Silicon Vally startup scene. With more than 15 million users globally, the company is now keen to boost these numbers even more by upping its presence in Europe – it announced a new London office last week and is now scouting German cities for potential locations. 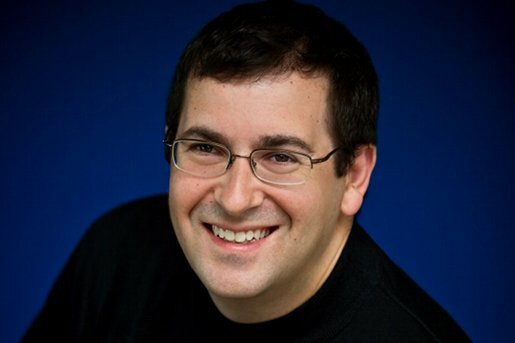 A European focus isn’t the only thing on the company’s agenda this year – in January it quashed rumours of an upcoming IPO (for now, at least) when it announced a massive $800m in equity and debt financing, with CEO Dave Goldberg making it clear that going public is not a priority at the moment. To start off with, what are you doing in Berlin? I’m here because we’re officially launching our SurveyMonkey Enterprise product in Germany. We announced the product in the US a few weeks ago and it’s a pretty big deal for us because it targets businesses and organisations that have multiple staff using the product. It allows teams to collaborate and use SurveyMonkey together – previously users could only have individual accounts – and companies also gain comparison features to help them get the most out of their data. We’re also here because we plan on eventually having a sales team in Germany – part of what this trip is about is figuring out where in Germany works for an office. Is Germany an important market for you? The thing is, the company is 14 years old and you’ve always been able to create and take a survey in other languages but the site was only in English until about three years ago. Since the site’s been in German, we’ve grown very quickly here – basically we’ve been doubling year-on-year. So while Germany is our largest market in the EU, outside of the UK, it’s still a fraction of what it could be. But we are the largest survey company in Germany, there’s lots of competitors – we’ve found about 30 direct ones – but they’re all pretty tiny. We have a lot of big German companies as customers already – Volkswagen has just signed on for the enterprise product and we have Siemens, SAP, Bosch, Dyson, along with local governments and universities using us. We have almost 200,000 users in Germany. So you launched the site in different languages only three years ago? Why did this take so long? A little over four and a half years ago is when I joined and we bought control from the owner – he’d done a great job, it was a great and profitable business but it was still only twelve people and only two of them were engineers. They’d made a product and it worked and scaled, but they didn’t have the resources to do other things, and one of them was languages and currencies. So we had to figure out creative ways to offer new languages, currencies, payment types. Firstly, I had to hire a team and then we had to do the work. But three and a half years ago, when we launched in German, we still only had about 35 people at the company – now we’re around 280. That’s very rapid growth – how did you manage the transition from a small team to close to 300 staff? The goal is to still try and think as much like a startup as possible but also put some processes in place to handle the growth. The best way I’ve figured out to do this is to hire people who understand both sides – so have experience working in a startup and a corporate environment. You’ve been quite vocal about not going public, announcing $800m in debt funding and equity early this year instead. Why choose this route? The idea was, we’d done pretty well and were wondering how we could get liquidity for some of our investors and employees. The problem wasn’t going public, but being public and having to run the company to hit quarterly financial targets and not being able to make longer term strategic decisions. We felt if we could get the money and get investors and shareholders to sell their shares for a good price without going public that would be a better choice. So all the money went to investors and employees, it didn’t go into the company – the company is very profitable. We’d only go public if we get some benefit other than liquidity, all of the new investors understand that it may never happen – that was part of the criteria of who we picked. You were previously at Benchmark as an Entrepreneur in Residence – from your investing background have any Berlin startups caught your eye? I know SoundCloud very well, I met Alex (Ljung) a couple of months after he started and am really heartened to see what they’ve done, and I know Jimdo too. Through Benchmark, I followed ResearchGate. Those are the ones I know the best. They’re all great companies – great teams that aren’t just building local businesses for Germany, but global companies. The thing is, it’s very hard to get Silicon Valley VCs to fund anything that’s outside of Silicon Valley – I mean it’s hard enough to get them to fund stuff in Chicago, let alone Europe! So people think they don’t want to go to Europe, but the truth is they don’t want to leave their own backyard. Fundamentally, VCs are lazy. Yes, and it’s a big vote of confidence for those companies – I mean if you can get funded by a Silicon Valley VC and you’re not in Silicon Valley, that means you’re really good because they really don’t want to get on a plane. And its so easy for them to fund something that’s local, and so hard for them to fund something that’s not. One of our investors is Tiger Global and they’ve been very very successful international investors and that’s one of the reasons we brought them in – because we wanted their help to grow internationally.